A few short weeks ago, we invited our Moms to review comics for Mother’s Day. One Mom liked it a lot. Two others swore to never read comics again. It was weird and hilarious and made us wonder how our genetic donors could love Josh Groban but not Lumberjanes. Answer: Paste’s comics department was probably adopted. But we had to know for sure. So we asked the men who taught us how to shave, mow the lawn and repress our feelings to review some comics. Editor Sean Edgar asked his Dad to review an old-timey collection of Betty & Veronica comics in homage to the stacks of long boxes he found with similar material as a child with poor snooping boundaries. Writer Steve Foxe once more showed that he probably doesn’t like his parents, asking his father and step-father to review Spider-Man: One More Day, which stars a superhero making a deal with Satan to not have a family. That’s not even subtle, Steve. The good news? The Dads like the comics, so we may not be adopted, but we’re still unsure. In 1960, I was nine and sick in bed. I asked my dad to get me a comic when he was out. He came back with, not the DC hero I wanted, but a Betty & Veronica Annual. But, it was a square bound annual. There was nothing like a 25-cent square bound comic book annual. I read it and became an occasional but loyal reader of the Archie series. The Best of Betty & Veronica brought back why. 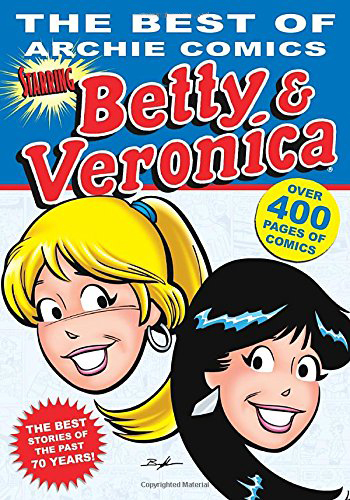 I was partial to sweet and natural Betty, which is partially why my two favorite stories were “Poor Little Rich Girl” and “Not So Clothes-Minded.” They both show a human side of Veronica, and I get to like her: a spoiled rich girl who had vulnerabilities and could pull through when it mattered. I used to wonder what two pretty, curvaceous teens saw in Archie, but that’s OK: he’s an everyman we identify with. The story that most took me back was “The Kiss Off.” Classic Archie comics stuff. Betty kisses Archie and reacts like it’s a drug ,where she’s unable to function intelligently. Little red hearts popping out everywhere. Great teen stuff. “Where The Action Is” was my least favorite: Betty and Veronica as Bond-ish spies. But I was never a fan of when they super-heroed the Archie gang with Captain Pureheart. The stories all have a similar sitcom/slapstick feel, but when I was done reading it, I missed it. Simpler times. Fortunately, the teen Archie who we love will not be dying. Neither will Betty and Veronica. This is the first Spider-Man comic book I have read. I’m really not much of a reader. I watched a lot of Spider-Man animated television shows. I think I have seen most of the movies. I have a Spider-Man quilt on the back of my couch. I didn’t know Spider-Man was married to MJ. Our Friendly Neighborhood Spider-Man has grown up. The storyline kept me interested to the point that I wanted to keep on reading. The illustration was amazing, but then this is Spider-Man. The Afterword by Stan Lee gave me an insight on what writers do to keep readers interested in the characters. 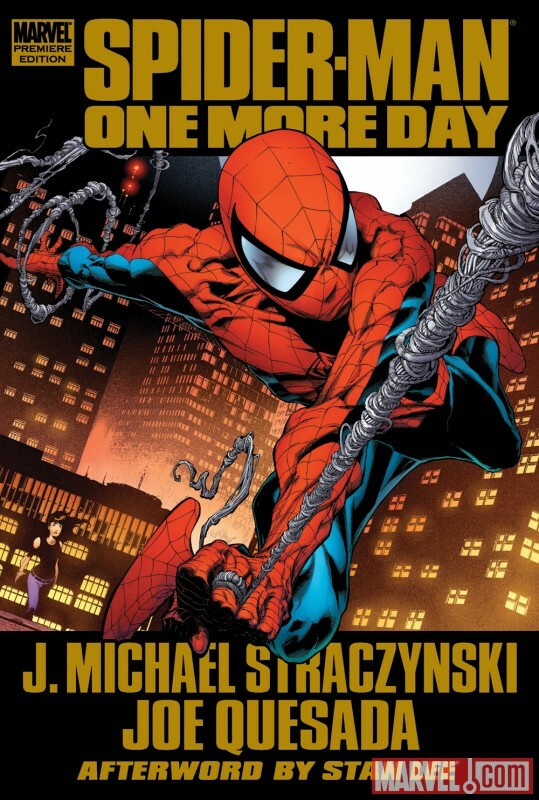 Just read The Amazing Spider-Man: One More Day a couple times. The last time I read a comic was 50 or 55 years ago and it was The Lone Ranger. Must say the comics world has changed a lot since then. I read One More Day and I understand that Spider-Man loved his Aunt May, but I didn’t understand how he could give up his marriage to Mary Jane and his lifestyle to save her from dying. He could of had a daughter, but still chose to save his Aunt May and his identity. I thought the comic storyline was easy to follow, although I would have liked it to have ended differently. Thought he should have gotten through his guilt and let his life continue with Mary Jane and a daughter; he could of had and let his Aunt go. I did like the story and all the things he tried. The artwork was great at times, but why did his Aunt May have to look like a zombie?